It's the most wonderful time of the year!! Woah, calm down! Not Christmas! Autumn! When the sunrises and spectacular and the sunsets are...also spectacular. The light on Fife during the Autumnal months is incredible and there's so many photo opporuntunities throughout the Kingdom, but let's take a wee look at 5 Insta-spots which give you some autumnal content "for the Gram". Get ready for some incredble natural framing here. Well known for its resident peacocks, this 76-acre park is of huge historical and cultural significance to Dunfermline, West Fife and beyond.You might even catch some squirrels (on camera..). Balbirnie Park lies to the north east of Glenrothes and comprises of 416 acres of attractive parkland and woodland garden. In autumn though...well...golds, reds, yellows, green fill the views and quite frankly, we're happy about that. Ravenscraig Park lies to the East of Kirkcaldy. The park has pleasant woodland walks which connect to the coastal path network. Access to Ravenscraig castle and Dysart is also gained from the park. Catch that morning glow to see those golden colours at their most beautiful! There is also a terrific sunrise spot in autumn if you look out from the castle or beach towards the south-east and catch the sunrise at the lookout tower. Autumn suits Riverside Park in Glenrothes very well! Such wonderful contrasts of colours and lovely woodland walks with a hint of sunlight peering through. Aaahh bliss! Don't forget to say hello to the ducks in the pond!! They don't teach you this in school, but if you take a stunningly colourful bandstand and place it amongst autumnal vibes and golden fallen leaves, it will look INCREDIBLE! Just look at the below! The war memorial angel nearby is also a gorgeous subject in the golden light and the shadows dancing around create not just a stunning photography location, but just a wonderful place to be. There's so many more amazing spots in Fife to take wonderful pictures. 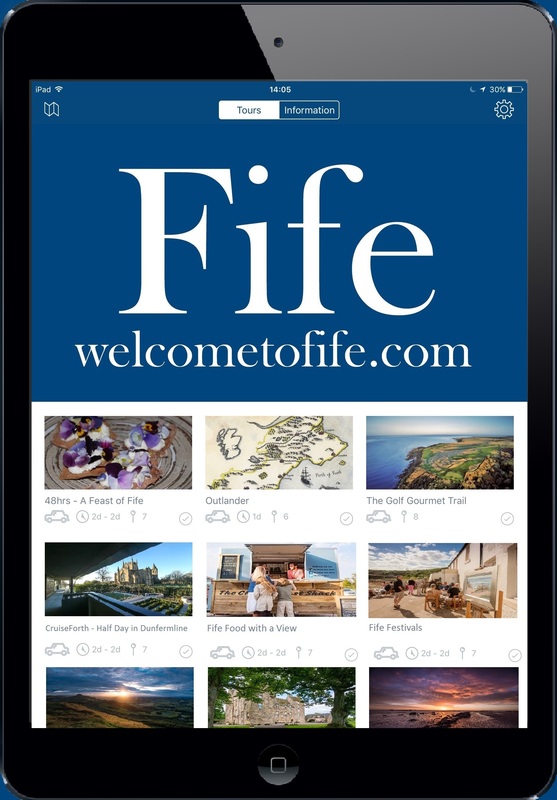 Tag us in your shots on Instagram or use the hashtag #loveFife.